Why watch a documentary about an artist? We have biographies and museum and gallery shows and catalogues and other ways of entering the lives and minds of the more memorable figures in the visual arts. Yet a documentary can offer an immediacy, a quick overview of the work, insights into temperament, a glimpse of the artist’s milieu…and, of course, a story. As with almost everything that flickers across a screen—with the possible exception of commercials and video art—we want a narrative. The best documentaries about artists offer a satisfying mix of biography and fleeting looks at the work (you can, of course, hit the pause button and spend serious time studying what’s on the screen, but it will never be a real substitute for firsthand acquaintance). The very best, like Marcie Begleiter’s film about Eva Hesse, offer the joys of seeing the work as up close as a movie allows and touch the heart in unexpected ways. So, with another silly season upon us at your local multiplex, here’s a clutch to consider, offering a welcome respite from Ghostbusters and Bad Moms. 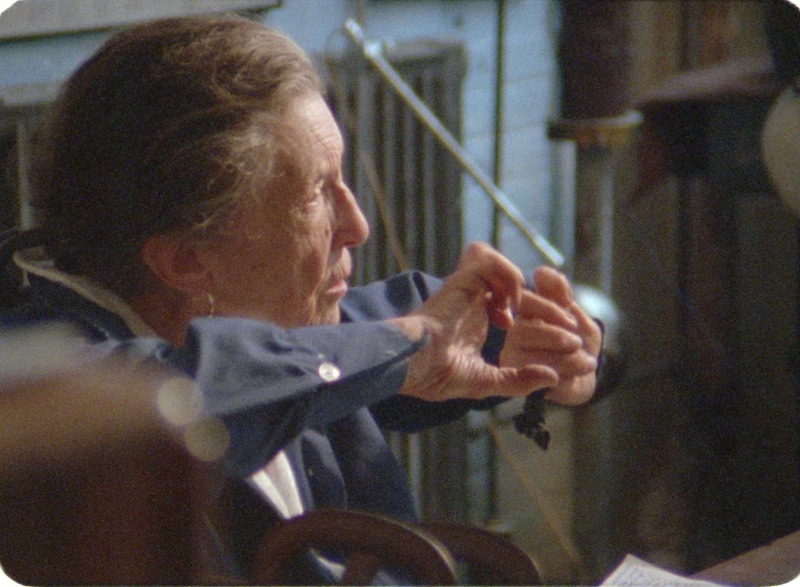 Fans of Louise Bourgeois, who in 1982 at the age of 71 became the first woman honored with a major retrospective at MoMA, are probably familiar with the psychological underpinnings of her art. Her father’s open liaison with the girl’s nanny, the “mistress” of the title, caused the artist enormous distress as a child—as did the tension between mother and father—and gave rise to a body of work that stems from a direct pipeline to the unconscious. As one of her sons notes in the film, there was “no separation between art and life.” But her history is revealed in a slow and indirect fashion, and it is not till about a third of the way through that Wallach, who also did an admirable job bringing Emilia and Ilya Kabokov to the screen, gets to the heart of Bourgeois’ thorny trajectory. We are first treated to a number of stunning shots of installations, but the story behind them doesn’t begin to gel until Bourgeois talks about how her father came back from World War I and commenced to some serous womanizing. Her development as an artist is not completely clear, though there are allusions to a meeting with Brancusi in 1953 and her marriage to art historian Robert Goldwater, who was a far bigger presence on the New York art scene in the 1950s. But stick with this film for a fine overview of the artist’s work, which was masterful in almost any medium—from bronze and marble to haunting installations to crudely stitched fabric sculptures. What you will read between the frames is stunning in its immediacy: her close relationship with her devoted assistant, Jerry Goruvy; her almost self-mocking impatience and petulance in late life; and her breakdown, on camera, as she reminisces about the savage way her father taught her to peel a tangerine. The final sequence of images, of the many Bourgeois “Spiders” around the world, unfolding as Laurie Anderson sings from “O Superman,” is alone worth tracking this one down. Available through iTunes and Amazon video. 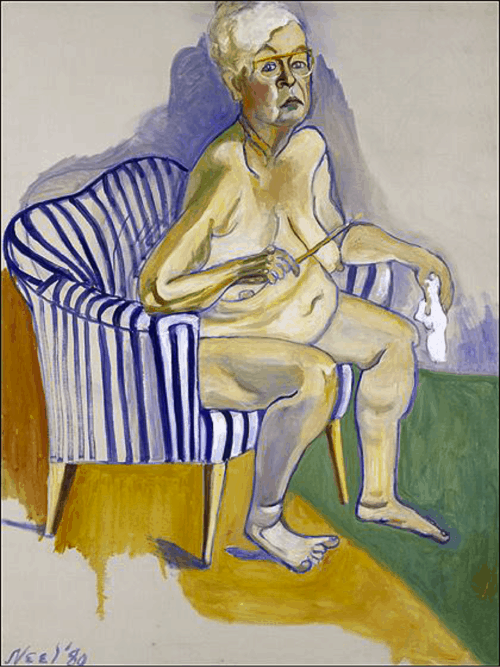 Alice Neel, now widely recognized as one of the most arresting portraitists of the 20th century, is another female artist who didn’t begin to receive her due till late in life. This documentary, made by her grandson, has an odd, disjointed quality, but that is in itself compelling and accounts for a certain grainy and intimate vitality, like leafing through someone’s album of old family snapshots. Neel’s life was fraught with tragedy and plain damn bad luck. She married a Cuban charmer named Carlos Enriquez and moved to Havana as a young woman. Her first child died of diphtheria, and her early canvases focused on loss and abandonment and reflected her Depression-era milieu. Other doomed relationships produced three more children, and as the art world evolved in the 1950s—turning its attention to Abstract Expressionism—Neel was isolated in Spanish Harlem, living on Welfare. But painting was what she loved to do best. “It’s a privilege to paint,” she notes. The deeply felt quality of her portraits, awkward but also inexplicably revealing (check out her likeness of a wounded Andy Warhol) is made clear when she confesses that after her subjects leave, “going back to myself is difficult.” The tangled relationships with her children, one of whom seems to have been a suicide (it’s not entirely clear from the narrative) are captured through archival footage and interviews (at one point, the director argues with his father and the debate becomes so heated that he switches off the camera). By the 1960s, the counterculture began to embrace the artist and her work, and there is a lovely sense of triumph in her later life, when she finally enjoys a retrospective at the Whitney. In her 80th year, Neel bravely painted a self-portrait that is much like this film: searching, unapologetic, and raw. Available on Netflix. 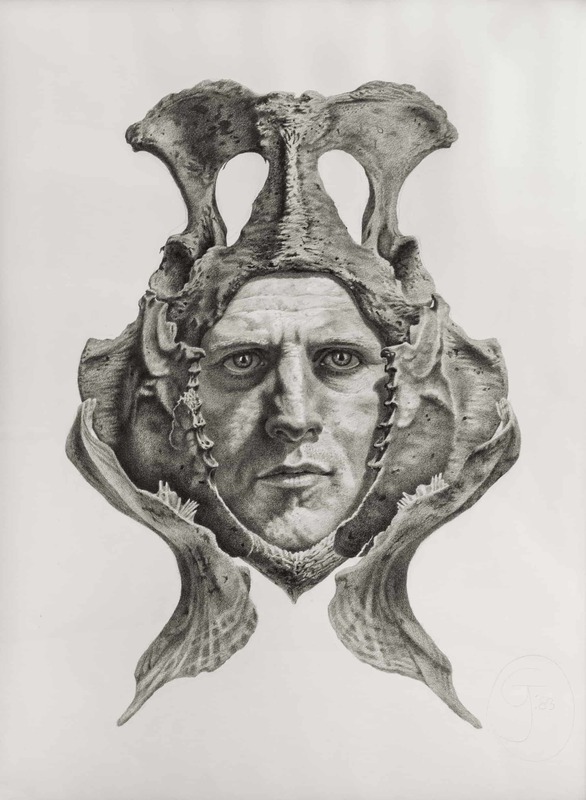 Gendron Jensen’s self-portrait with bones. A short and poignant introduction to the life of a dedicated draftsman proves that you don’t have to go on at length to offer a satisfying portrait of an artist. Gendron Jensen, my friend and neighbor in northern New Mexico, has been drawing the bones of road kill and other accidental finds from the animal kingdom, capturing what he calls the “mystery of transfiguration.” Realized in the old-fashioned medium of graphite on paper, looming as tall as seven feet and sometimes reproduced as lithographs, these works have never regrettably captured the attention of the art world at large. But they have sustained Jensen, who can spend ten years on a single bone, since he first discovered the joys of drawing at a Benedictine monastery in his twenties. We see Jensen at work in his studio, aka the “bone room,” producing a lithograph at the Tamarind workshop, and enjoying a gleeful reception at his show at Knoedler & Company in 2010, which is where I first met him (spoiler alert: I’m there with a bad haircut, holding forth to the camera, looking bug-eyed and sounding a bit pompous). Tucked into the footage is the tender story of his ongoing romance with his wife, Christine Taylor Patten, another devotee to drawing and to creating maximum effects with minimal means. They are rare spirits, and this is a smart and affecting tribute to one way of having a life in art, even when the world may not be watching. Available through iTunes. For more information, click here.